Angel heart Dog Harness is a safe and soft harness that offers fashion sense as well. 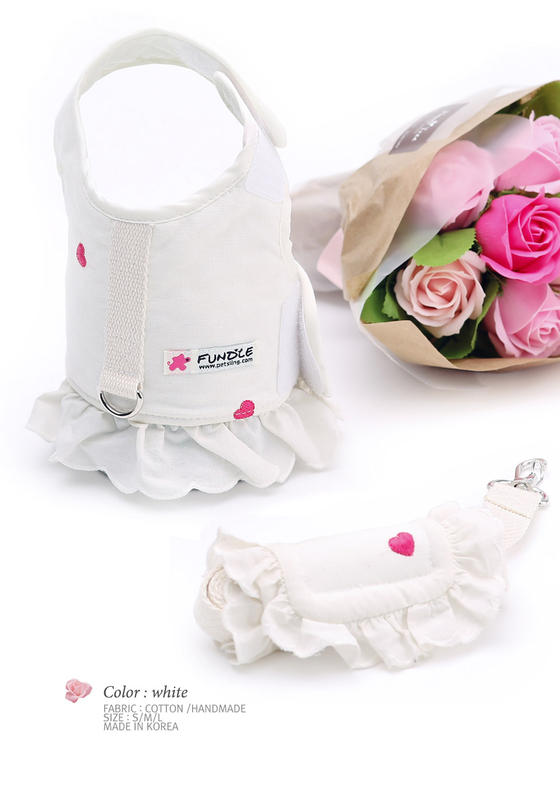 This dog harness has quick-release Velcro, and features a heartl print design with an adorable frill. Ezydog harness is lightweight and cool, fits easily and comfortably on your pet. Heavy Duty Velcro Closures are safe and secure.